Product management can be a complex and often misunderstood discipline in business. 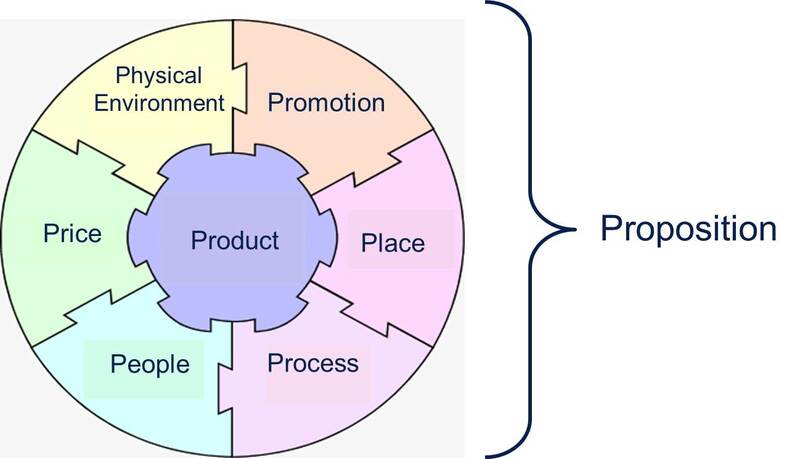 In reality Product Management in its broadest sense, touches every part of an organisation that sells products and services, and everyone has their part to play in the product life-cycle to ensure that customers get the best possible experience and your organisation benefits from growth and profitability. In this A to Z I’ll be covering some key processes, tools and terminology to help you understand the world of Product Management. Before any product is designed, developed and launched, it is crucial that you know what customer needs will be fulfilled by your product. Understanding customer needs is not necessarily an easy task however. Unfortunately, determining the real needs of a potential customer is not as simple as asking them what they want. Many people are unable to clearly articulate their most pressing and compelling product or service requirements because determining how products could or should be improved is not forefront in their mind. To learn what your customer really needs, you must watch them and talk with them. You must be sure you understand their concerns and overall business issues. Only by thoroughly understanding the broad environment your customer lives in on a day-to-day basis, as well as their specific and detailed issues and concerns, can you apply the creative efforts necessary to design a compelling solution that will be successful. An approach starting to become more widespread in industry is to conduct in-depth customer research throughout product development and to treat potential customers as participants in the new product development process. In order to develop the right product, everyone involved has to know what you’re developing. The initial document that spells this out, or is at least supposed to, is a Proposition Definition document, or one with a similar name. The intent of such a document is to define the features and functions of the product to be built. At the early stage of a project, this is generally a fairly high-level definition, specifying in fairly broad terms what the product is and does, the types of customers that will use it and potential market size. Its intent is to provide sufficient information for the requirements to be taken to the next level of specification. When not done at all, a project will proceed with no real sense of direction. When done poorly (which happens all too often), it gives only a vague sense of definition and/or direction, leaving what the product really is open to individual interpretation, which is dangerous when working in larger multifunctional teams. When done reasonably, this document gives a clear definition to all of what the product is. When done really well, it not only defines what the product is, but also what it isn’t. By defining what a product isn’t as well as what it is, it prevents people from heading off-track in directions that were not intended. All efforts should be made to provide a really excellent product definition document, clearly defining what the product is, and what the product is not. This proposition definition document sets the foundation upon which the product will be based. A firm foundation provides a stable platform to build upon; a flimsy foundation leads to a platform that can later collapse. All key departments – Marketing, Product Management, Sales, engineering (including development, test/quality assurance, usability, performance, technical documentation, etc. ), customer support, field engineering, business development, manufacturing, finance, and others should be involved to ensure their unique viewpoints are properly represented. 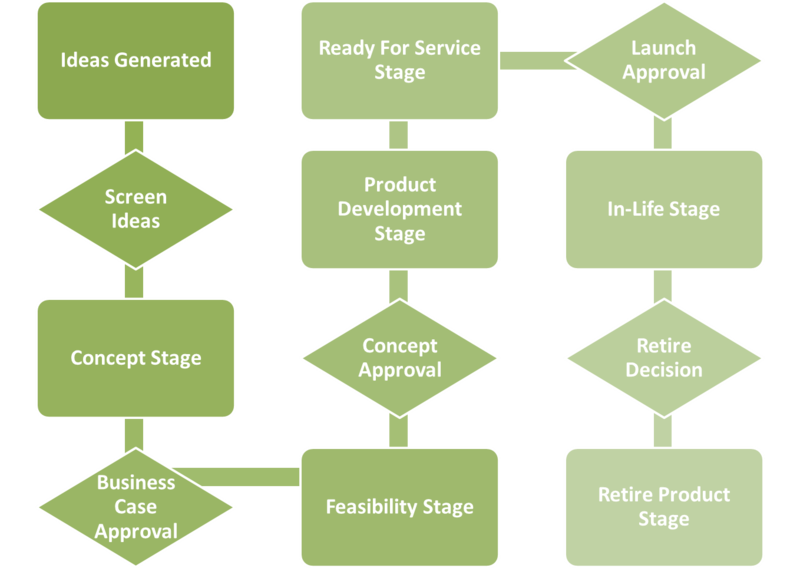 Using these evaluation gates help product developments conform to strategic intent, stay on track and realise the intended customer, operational and financial benefits. Forecasting sales of your new product is not an exact science, but I’ve highlighted below the methodology I’ve used in my career to build up a view before submitting a business case. G – Governance & Getting things done! Aside from the New Product Introduction Process (See ‘N’) which will help in stage gating new products, it is hugely important that the senior management team are behind your product development and it’s priority in the organisation. Without this backing, you will spend a huge amount of time fighting for resource, agreeing priorities and re-agreeing them, and slowing your overall project down. All product developments should also have a senior management sponsor and ideally a project manager (or at least someone on the team with that role) and regular project board meetings to keep the development on track and to expedite any issues. Ideally your key suppliers should be represented on the board. Your key stakeholders need to be communicated to regularly with project updates, deviations to plan and escalations in order to keep momentum and deliver your new product on time, to quality and to budget. Sales people are a great source of feedback during all stages of the product life-cycle. They’ll give you feedback on what customers are asking for, the barriers to them selling a particular product or service and also views on how they would like to be remunerated! Building strong relationships with sales people is always a good idea, but by involving them early in a new product development will get them on board and excited about your product way before you launch it. If they’re good, they’ll start talking to customers early and start building pipeline. A note of caution: Don’t let your sales people start selling your new product until you are very clear and confident with your launch date! Customers get very annoyed when they’ve committed to buying something and the launch is delayed 6 months or longer. Innovation is rarely about solving an entirely new problem. More often it is solving an existing problem in a new way. Neither is innovation the sole domain of a product manager or senior management. Ideas can come from anywhere inside or outside of your organisation. The trick is to spot a good idea when it comes. Many organisations have mechanisms for capturing, filtering and taking the best ideas to a ‘concept’ stage. Once an idea has been registered as having merit, resources are assigned to investigate the marketplace, the opportunity, the business and customer benefits, the likely costs, timeframes and resources required to develop the product. In the 1970s, when Japanese manufacturing companies were trying to perfect their systems, Taiichi Ohno of Toyota developed a guiding philosophy for manufacturing that minimized waste and improved quality. Called Just In Time (JIT), this philosophy advocates a lean approach to production, and uses many tools to achieve this overall goal. When items are ready just in time, they aren’t sitting idle and taking up space. This means that they aren’t costing you anything to hold onto them, and they’re not becoming obsolete or deteriorating. However, without the buffer of having items in stock, you must tightly control your manufacturing /logistics processes so that parts are ready when you need them. When you do (and JIT helps you do this) you can be very responsive to customer orders – after all, you have no stake in “forcing” customers to have one particular product, just because you have a warehouse full of parts that need to be used up. And you have no stake in trying to persuade customers to take an obsolete model just because it’s sitting in stock. Kaizen , or ‘Continuous Improvement’ is a policy of constantly introducing small incremental changes in a business in order to improve quality and/or efficiency. This approach assumes that employees are the best people to identify room for improvement, since they see the processes in action all the time. An organisation that uses this approach therefore has to have a culture that encourages and rewards employees for their contribution to the process. Kaizen can operate at the level of an individual, or through Kaizen Groups or Quality Circles which are groups specifically brought together to identify potential improvements. A key part of any product development is the creation of, or enhancement to, operational processes. It is crucial that and End to End process review is carried out for the new product or service and the department owners document, sign-off on and embed any changes to their ways of working. In addition it is important to understand any changes to departmental KPI’s and headcount before launch and that everyone impacted by the product launch is trained to a sufficient level prior to launch. Post launch, it is also important to invest some time in ensuring that any teething troubles are ironed out quickly and any tweaks to process are documented and people retrained where appropriate. All of these elements have their specific place in any company’s marketing strategy. People: All people directly or indirectly involved in the consumption of a service, e.g. employees or customers. Process: Procedure, mechanisms and flow of activities by which services are consumed. Physical Environment: The environment in which the service is delivered. It also includes tangible goods that help to communicate and perform the service. 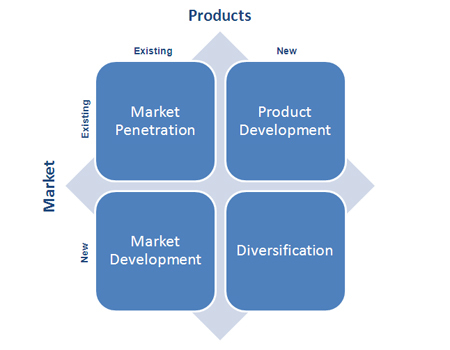 Before any product goes on the market, it’s advisable to carry out an effective market analysis known by the acronym SWOT – strengths, weaknesses, opportunities and threats. What product/s are we selling? What is the process we have in place to sell the product? Who are the customers, who are the people interested in our product? What ways can we deliver the product to the customers? What are the finances needed to create and sell this product? Who will oversee all the stages from having an idea, to having enough finance to complete the task? Using a 2×2 grid and a selection of people from your organisation, really analyse where your Strengths, Weaknesses, Opportunities, and Threats are for your market and in particular for your new product or service. Prioritise them and ensure that any mitigations / activities are built into your plan. Ensure your strengths are clearly articulated in the proposition and opportunities acted upon. In most product developments, you will need to work with third parties to supply goods or services. The process begins by selecting the right vendor for the right reasons. The vendor selection process can be a very complicated and emotional undertaking if you don’t know how to approach it from the very start. You will need to analyse your business requirements, search for prospective vendors, lead the team in selecting the winning vendor and successfully negotiate a contract while avoiding contract negotiation mistakes. The most important success factor of managing 3rd party relationships is to share information and priorities with your vendors. That does not mean that you throw open the accounting books and give them access to your systems. Appropriate vendor management practices provide only the necessary information at the right time that will allow a vendor to better service your needs. This may include limited forecast information, new product launches, changes in design and expansion or relocation changes, to name a few. Another important factor in building relationships with third parties is trust. Be as open as you can with them and if at all possible incorporate the third-party in you new product development team. In an ideal world, all projects would allow adequate time for testing. Project teams would plan exhaustive testing for each piece of system functionality and if they ran out of time then they would drop functionality from a release rather than compromise on quality. With business systems, it’s virtually impossible to test for every possible eventuality. We must therefore ask ourselves what is the most important functionality that must be tested within the available timeframe. The obvious answer is – the business functions that the system will deliver and on which the project justification is based. User acceptance testing should be performed by business users to prove that a new system delivers what they are paying for. Business users have the knowledge and understanding of business requirements that IT testers do not have. They are uniquely placed to accept or reject the new system – after all they have to live with the consequences. I would also argue that customer testing is also useful during stages of some product development so that areas such as usability and ease of purchase process as well as FAQ’s are meaningful and so on. The term ‘Value Chain’ was used by Michael Porter in his book “Competitive Advantage: Creating and Sustaining Superior Performance” (1985). The value chain analysis describes the activities the organisation performs and links them to the organisations competitive position. Value chain analysis describes the activities within and around an organisation, and relates them to an analysis of the competitive strength of the organisation. Therefore, it evaluates which value each particular activity adds to the organisation’s products or services. This idea was built upon the insight that an organisation is more than a random compilation of machinery, equipment, people and money. Only if these things are arranged into systems and systematic activates it will become possible to produce something for which customers are willing to pay a price. Porter argues that the ability to perform particular activities and to manage the linkages between these activities is a source of competitive advantage. In most industries, it is rather unusual that a single company performs all activities from product design, production of components, and final assembly to delivery to the final user by itself. 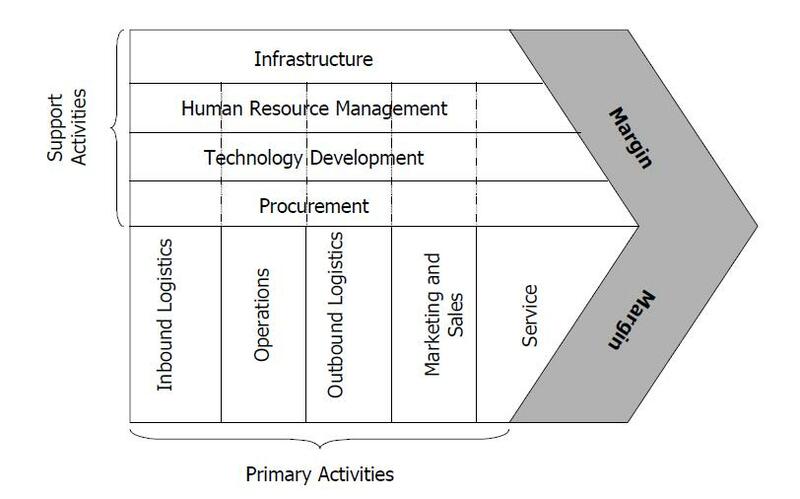 Most often, organisations are elements of a value system or supply chain. Hence, value chain analysis should cover the whole value system in which the organisation operates. Whilst legal support should be always be sought when pulling together product conditions of service, it is essential that as the person leading a product development you have a clear view as to what the key conditions of service should be for your product or service. This area, depending on your industry, can be hugely complex and may end up being a critical path activity in your project plan, so it is key that you initiate this activity as soon as your proposition is fully defined. Ok, I cheated. Cross-functional teams are key to the success of product management, probably more so than for any other business activity. Products cannot be developed successfully in isolation. And you should consider having a customer or two on your team! They will be the champion for their department, bringing information from their function to the product team. They’ll also serve as a product champion, communicating back to their department on the product development and what impacts there’ll be back in the department. The core concept of yield management is to provide the right service to the right customer at the right time for the right price. That concept involves careful definition of service, customer, time, and price. I hope you enjoyed this A to Z and would love to hear your Product Management stories and successes. When someone writes an article he/she retains the thought of a user in his/her brain that how a user can know it. So that’s why this piece of writing is great. Thanks! Thanks very much! Appreciate the feedback. excellent article , really thanks and really appreciated. but do you had a good detailed about this A-Z specially in Telecom field. Many thanks. I don’t at the moment, but will have a think about doing a telecom specific one in the future. Was it specifically around product management or were you thinking more generally around Telecoms?